Not satisfied with Android Auto? Well, here is a great alternative for all you distracted drivers out there. Want your Android to prep you for the Apple Watch interface? 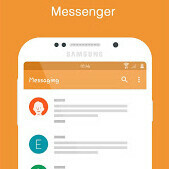 All apps, contacts,messages and setting in Apple Watch style are here in "colourful galaxy circle" style on the launcher home screen or lock screen. 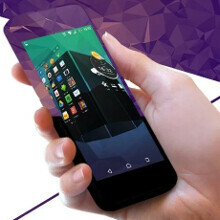 Bubble Screenlock Launcher is an innovative screen lock launcher, featuring unique design, user-friendly interface,low battery and resources requirements that allows you to launch any application with just a few taps. Cold Launcher is a simple one which can freeze/defrost apps right on the desktop, it's also the first Android launcher to have this functionality. After freezing(disabling) apps, they are just like uninstalled but actually not, you can defrost them with a single touch. No more annoying background services or auto start. It can help save battery life by freezing apps you don't use so often, perfect for people who like to install lots of apps but don't want to slow down their Android devices because of background services or auto-starts. 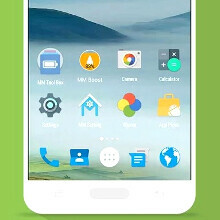 Picoo Launcher claims to be the "fastest, smallest and most power-saving phone launcher created with Google Material Design on the market," yet is now devoid of all basic launcher functionality one would expect. Access the Android command-line on your home screen! Run scripts, programs, customize your ROM, use busybox, open and control applications and more. This widget allows you to create an invisible / hidden area that goes to one of your installed applications when pressed. 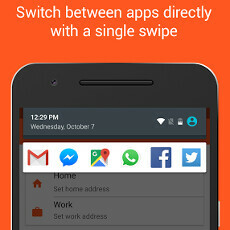 The app allows for resizable widgets, and, if the launcher permits, can overlap with other widgets. 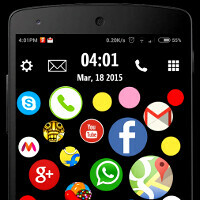 I think i will go with the Bubble screenlock launcher, totally free and having a 4.2 rating. LOL! 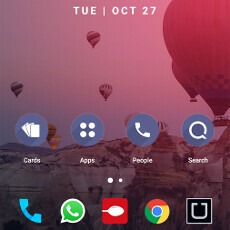 Cold Launcher is pretty awesome. Thank you Daniel P for bringing this to my attention! Imagine seeing someone using the Terminal Launcher. Wicked. Because they can...Can't say the same for Apple developers huh? Being flattered and not creative isn't a skill. Because they can...isn't a great response to app launcher developer that will be irrelevant for years to come. Getting 10 mins of fame doesn't count towards a long term benefit to the end user. Either you admit that Android developers are running out of ideas or hate that Apple is printing money on anything that is developed and created. bubble screen looks pretty gross.